At Shine Dental, we always make every attempt to treat your teeth and remedy any dental malady. Unfortunately, in some cases damage to teeth is in so advanced a stage that is may be necessary to extract the tooth in order to maintain dental health. Whatever the cause, you can rest assured that Shine Dental will carefully explore and inform you to any other options before making the decision to remove a tooth. 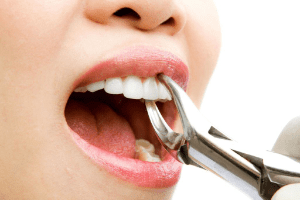 Should tooth extraction become necessary, you are assured the nurturing care that comes with any Shine Dental procedure. We understand that the process of having a tooth extracted can be daunting and make every attempt to keep you comfortable throughout the procedure.